Big egos are a big part of the human nature. As man is naturally a political animal, egos are a big part of politics. Outside politics, egos are in high supply. In board rooms and the rest of the corporate world, for example, ego clashes are fueled by intellection and the contestation of ideas — by the unwillingness of a first-grade intellectual to think nobody else can possess a superior idea to his. The basis for this ego, though no less destructive, is understandable. But there’s a very caustic, fetid kind of ego — the one motivated by money and power. In the Nigerian Senate, there is an abundance of it. Twice last week, a couple of senators supplied the evidence. Let’s start with the latter. On Tuesday, a security aide of Abiodun Olujimi, a PDP senator representing Ekiti South (also the Deputy Minority Whip of the Senate), ordered her aide to slap Kingsley Oti, a National Assembly staff, specifically the Provost of the Parliamentary Staff Association of Nigeria (PASAN). An account of the incident by both parties identifies the cause of the clash as the attempt by Olujimi’s aides to bar Oti from entering an elevator reserved for senators. Whereas Olujimi should have reprimanded his aide for slapping Oti (who wasted little time in returning the favours), she instead dragged him away from the scene by grabbing his shirt by the buttons. Shambolic public display of power. Who, by the way, are senators that staff of the National Assembly cannot share elevators with? Some gods that must be worshipped or demi-gods in whose presence mere mortals must cringe in fear? Is Olujimi no longer one of those public office aspirants who, every four years, beg Oti and the rest of us for votes — well, in addition to vote buying and stealing? By separating their own elevators from those used by staff and visitors to the National Assembly, the senators take us more than six decades back to the era of racial discrimination in the United States when coloured passengers were barred from occupying the whites-only section even if theirs was filled up and the whites’ had spaces. There is real cause for worry if, in a democracy, the lawmakers consider themselves more important than the people whom they were elected to serve. Tuesday’s incident can be passed off as a classic case of the elephant (Olujimi) thumping the grass (Oti), but the previous day’s bears no such colouration. Five senators — Samuel Anyanwu (Imo East), Gilbert Nnaji (Enugu East), Hamman Isah Misau (Bauchi Central), Babajide Omoworare (Osun East) and ringleader Dino Melaye (Kogi West) — were at the headquarters of the Nigeria Customs Service (NCS), as members of the Ad- hoc Committee on Economic Waste in Customs. 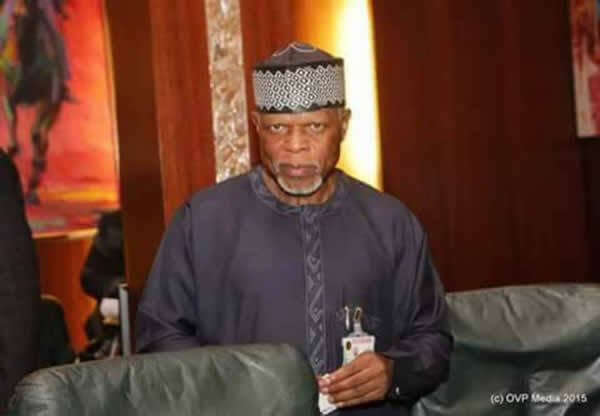 Rather than busy themselves with the ‘juicy’ matter of economic waste, the senators began the meeting by whining about how Hameed Ali, the NCS Comptroller-General, was not standing at the entrance of the building to welcome them. Angered by the return of fire for fire, the senators declined to take a group photograph with the Customs management at the end of the meeting, prompting the CG to abandon them in the conference room and block their bus at the gate of the premises with his convoy to ensure that it was him rather than the lawmakers who walked out on the other party. He ensured he held them up for at least 15minutes after the meeting ended. Ali’s eye-for-an-eye methods are somewhat questionable, but that sort of ridicule is what you get when the third estate of the realm continues overstretching its limits and fails to rein in its ego. In any case, the entire ‘economic waste’ probe is nothing more than a gluttonous peep into the Customs to see what ‘leftovers’ can be appropriated by the Senate. That was the practice before Ali’s appointment, that was the crux of the uniform-or-no-uniform saga of 2016/2017, that is why the Senate detests Ali, and that is why the Senate and the retired colonel will have to endure their cat-and-mouse relationship for at least another year. The public conduct of these senators is a dead giveaway of their conduct in the hallowed chambers of the National Assembly and in private when no eyes are watching. Little wonder we are still angling for the passage of the PIB — a four-set document with real potentials to revolutionalise the oil and gas sector — after 18 years, yet our lawmakers are more interested in the happenings in the NGO world and, with the NGO Bill, are desperate to enthrone an NGO Regulatory Commission that would wield suspicious powers as the “power to facilitate and coordinate the activities of NGOs (Section 7) — whatever that means, power to receive and discuss annual reports of NGOs (Section 8), power to provide policy guidelines to NGOs (Section 81c) and power to approve projects of NGOs (Section 26). These ego-drunk legislators will take us nowhere. Unfortunately, we’re stuck with them for at least one year or probably longer.